The Class of 2013 will present the 14th annual William C. Friday Award to Michell Hicks, Principal Chief of the Eastern Band of the Cherokee Nation. The award presentation is open to the public and will be held on Monday, April 15, 2013 at 5:30pm in the Hunt Auditorium of the James B. Hunt Jr. Library on Centennial Campus. 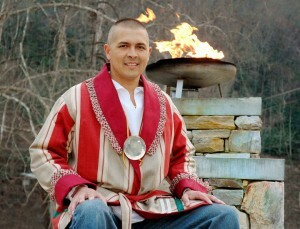 Hicks is the leader of the only federally-recognized Native American tribe in North Carolina. 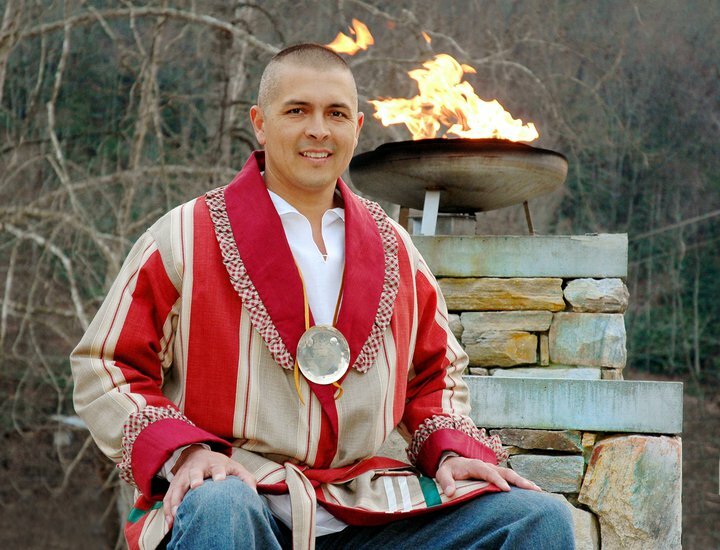 Since his election to the role of Principal Chief in 2003, he has overseen more than 14,000 members and 56,000 acres of land in the Eastern Band of the Cherokee Nation, a self-governing nation in western North Carolina. Hicks, a certified public accountant and the youngest chief to lead his nation, has helped the tribe adopt a successful new economic strategy. The recipient of the William C. Friday Award is selected in part by the senior class of Park Scholars each year. Members of this year’s William C. Friday Award Committee continued the tradition of seeking Friday’s feedback on their nominees for the award. Friday provided his input on their selections just a few days prior to his death on October 12, 2012, making Hicks the last recipient chosen in collaboration with Friday himself. Past recipients include William Friday, NC State Chancellor Emeritus Larry Monteith, General Hugh Shelton, noted historian John Hope Franklin, SAS leaders Ann and Jim Goodnight, Geomagic CEO Ping Fu, Special Olympics of North Carolina CEO and President Keith L. Fishburne, and Ambassador James A. Joseph.